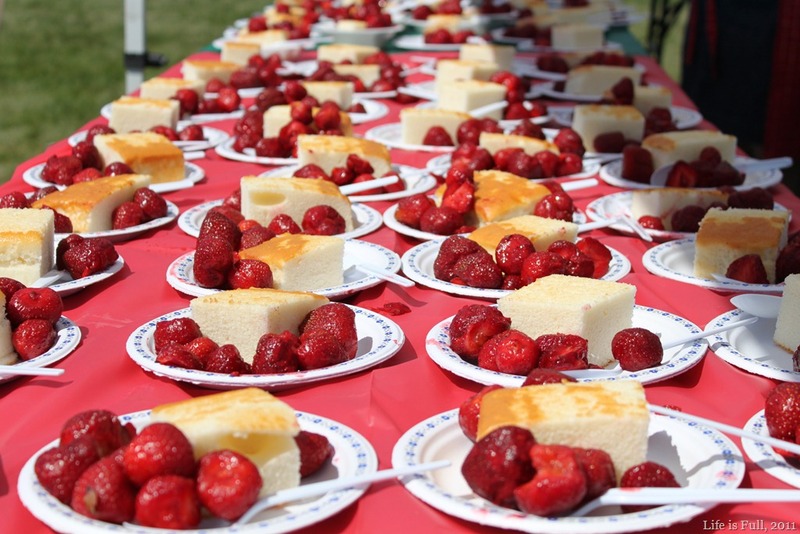 In my previous post I wrote about the Stouffville Strawberry Festival which took place last Thursday to Sunday. I’m happy to say that it was a successful event; bigger and better than last year’s! 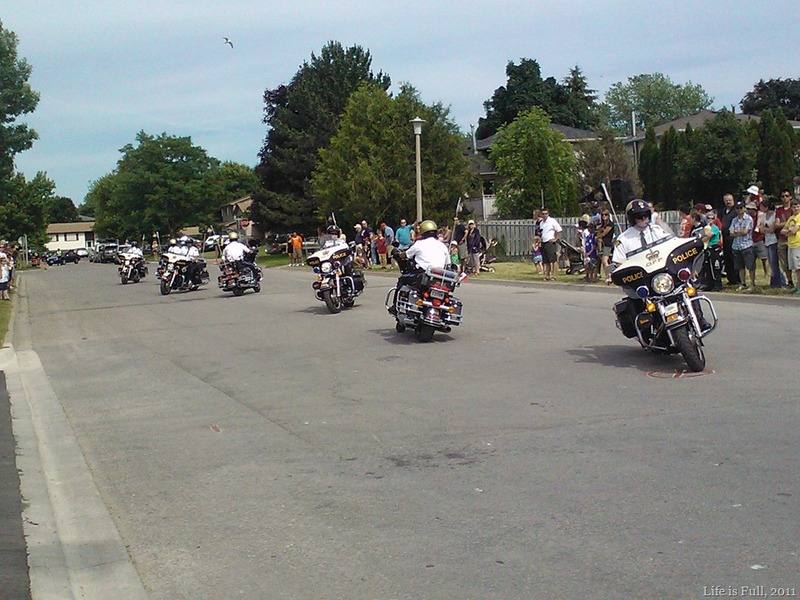 We had roads blocked off for the festival and the town centre became a big festival ground. 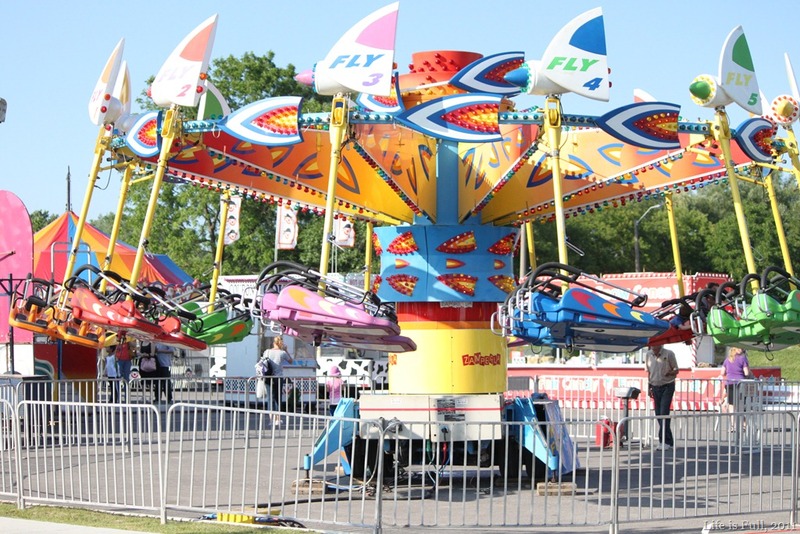 There were carnival rides and games, food and craft vendors, family games, contests, performances and entertainment. 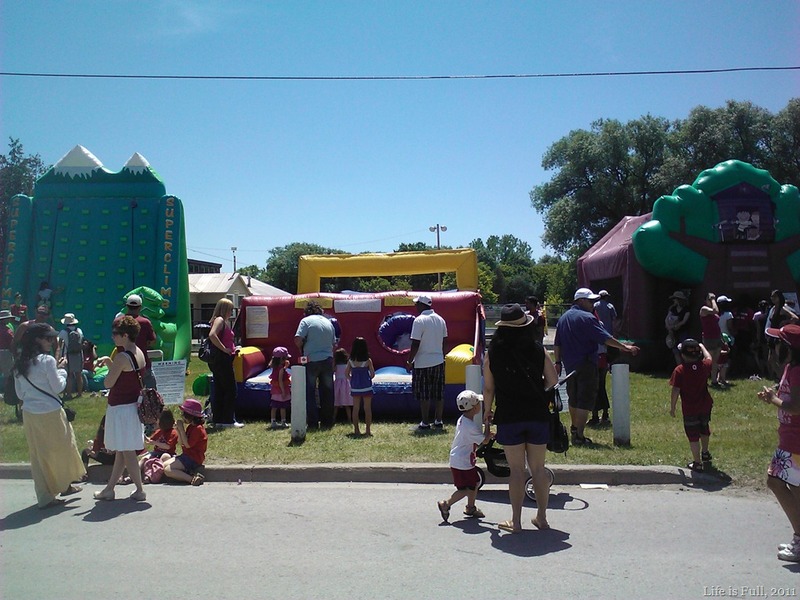 It was great to see the community coming out and enjoying the festival. We had visitors from out of town too. 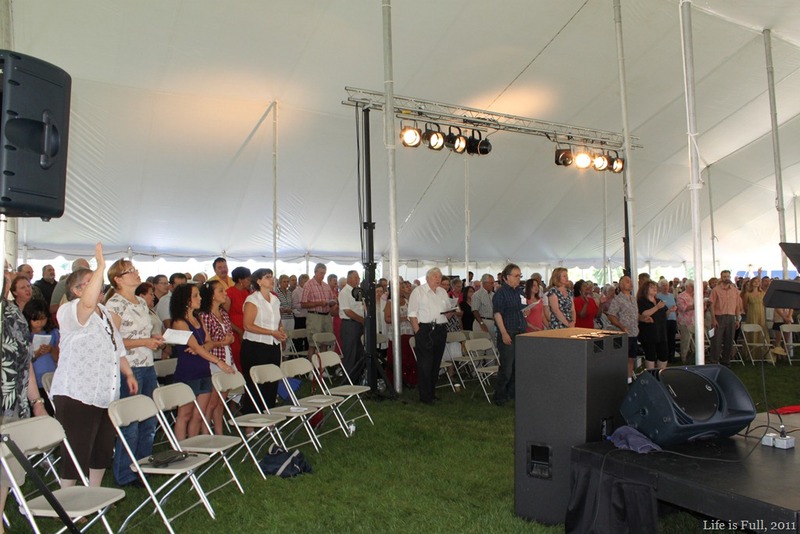 On Sunday, the festival ended with a Strawberry Social after a community church service. I love the fact that we have a church service as one of the festival’s programme. The weather was cooperative throughout. On Saturday, showers were forecasted for the afternoon, which would ruin the street market, but the rain only came late in the evening when the festival was over for the day except for a night performance in the marquee. 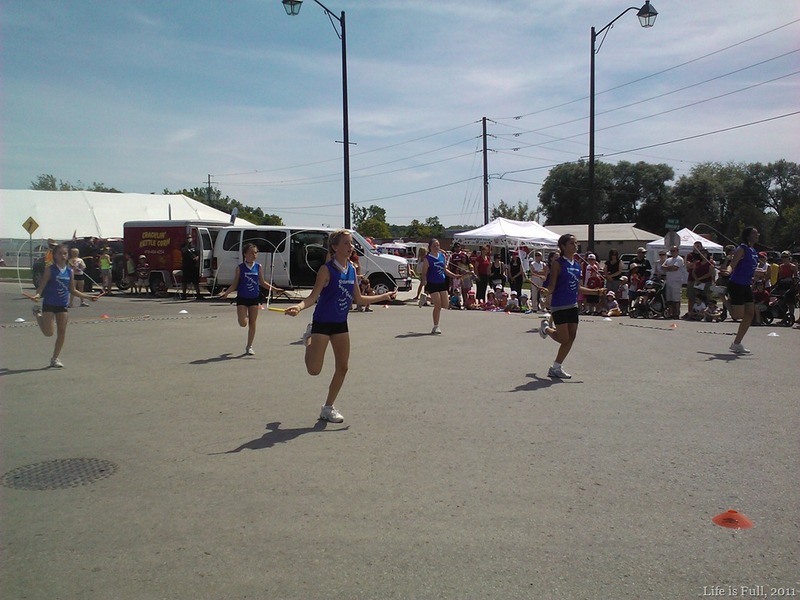 We spent so much time in the sun, walking to and around the festival that we all got a shade darker even though we had sunscreen on. My feet has criss-cross patterns on them from my shoe straps! 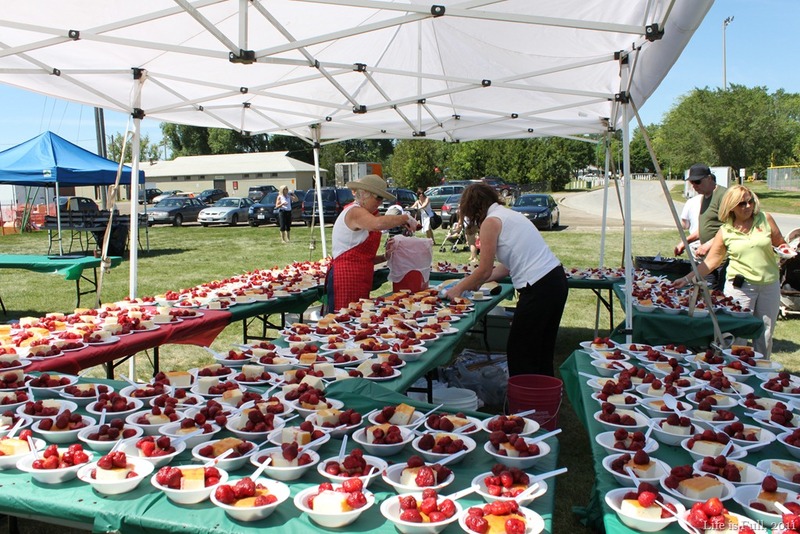 My little town has a big event every year – the Stouffville Strawberry Festival. I think it’s a great idea and event. I joined the committee this year as I wanted to be involved in something big for the town. Got a small portfolio – managing the ‘Social Media’ but in actual fact, it’s just Facebook. 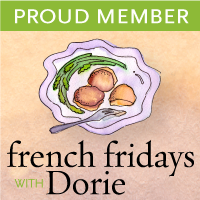 I manage and keep the Facebook page current; promoting the events and creating excitement for the festival. At this point we have only 101 fans, up from around 5 in March! 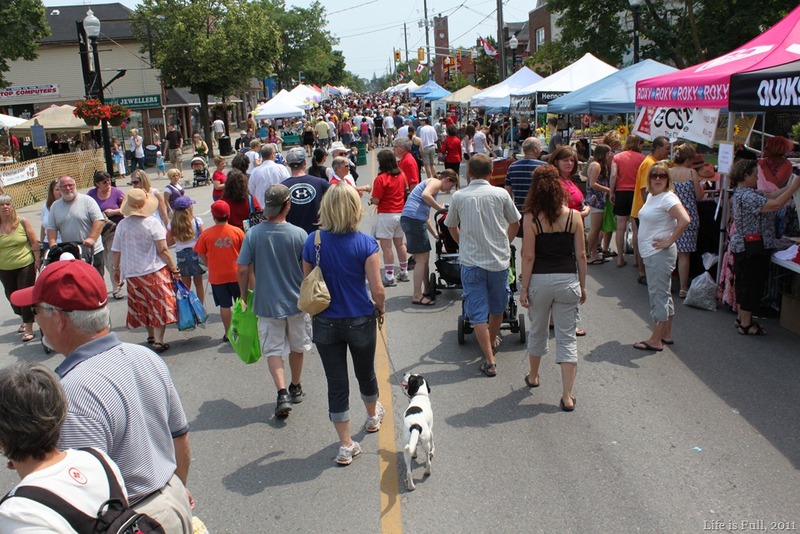 The Festival is starting tomorrow but the big days are Friday, which is also Canada Day, and Saturday. 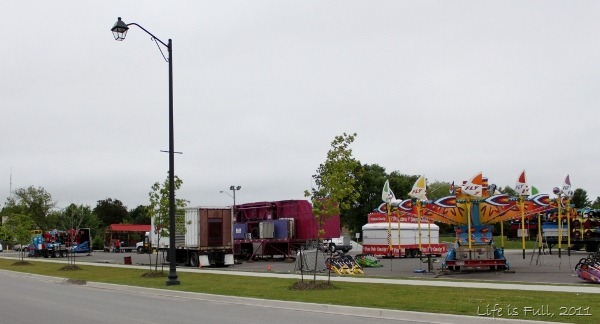 When I drove by Park Dr today, I saw they were setting up for the carnival. The sight of it got me excited about the festival last year and it did the same thing to me this year! I’ll blog about the event after it’s over. I imagine I’ll be quite busy during the festival from both working and enjoying it with my family and friends! 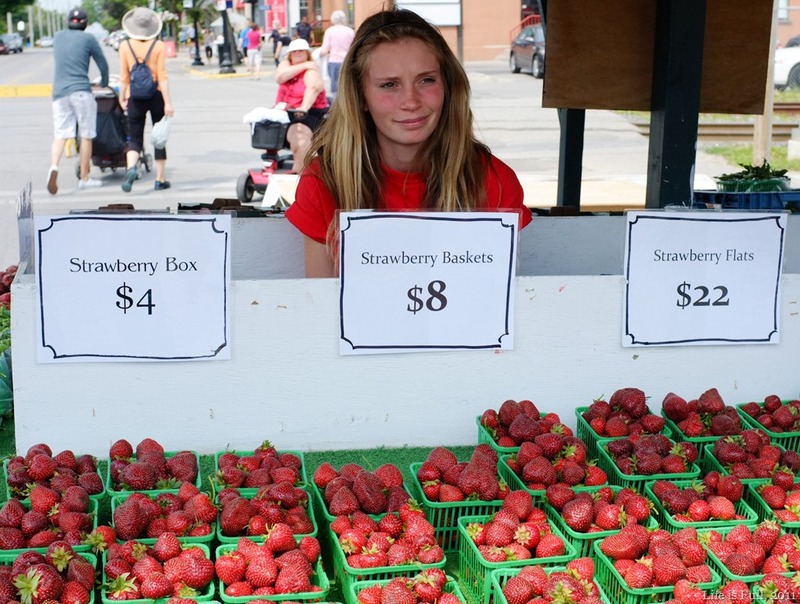 or www.strawberryfestival.ca on the web. UPDATE: Post-event blog post here.